In 1958 Otto Piene and Heinz Mack (later joined by Günther Uecker) formed Group ZERO in Düsseldorf, whose aim, Piene wrote, was to create "a zone of silence and of pure possibilities for a new beginning." Their art championed kinetic, light and minimalist elements expressed in new media, such as chrome, aluminum, latex and motors, providing a counterpoint to Abstract Expressionism in post-war Europe. In 1958 the group published its second art magazine on the occasion of a series of studio exhibitions dedicated to "Vibration," including works by Oskar Holweck, Heinz Mack, Almir Mavignier and Otto Piene, centered on the theme of visual movement. 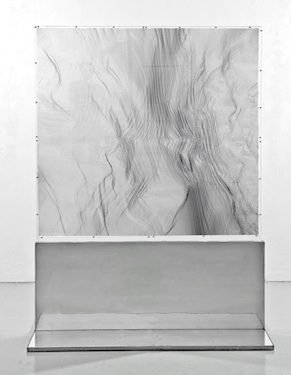 In 1959 ZERO came before an international public with the landmark exhibition "Motion in Vision—Vision in Motion," at the Hessenhuis, Antwerp, an artist-curated exhibition, and over the following decade gained participants throughout the world: Piero Dorazio, Lucio Fontana and Piero Manzoni in Italy; Bernard Aubertin, Yves Klein and François Morellet in France; Walter Leblanc in Belgium; Jesús Rafael Soto in Venezuela; and Hermann Goepfert, Christian Megert and Almir Mavignier in Germany. 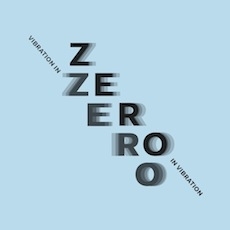 "ZERO in Vibration—Vibration in ZERO," organized on the 30th anniversary of Moeller Fine Art in New York and the 55th anniversary of "Motion in Vision—Vision in Motion," finds fresh resonance in the literal, optical and potential vibrations of ZERO. 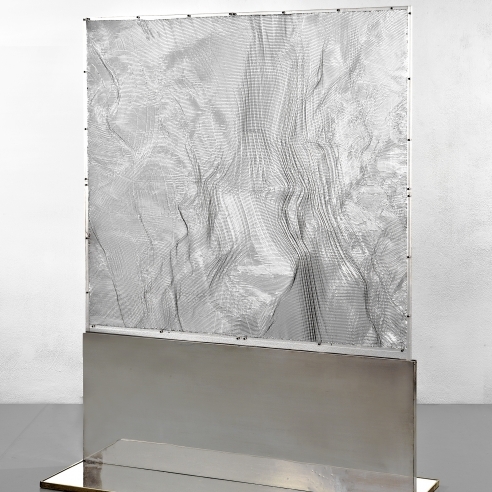 Highlights include Veil of Light, 1964, by Heinz Mack (illustrated), a pulsating plane of reflective hexcells; Column of Nails, 1964, by Günther Uecker; and Rosso di sotto, 1961, by Piero Dorazio, a vibrant, intersecting grid painted on canvas. The exhibition includes loans from the Neuberger Museum's George and Edith Rickey Collection of Constructivist Art, the ZERO Foundation and works for sale from private collections. An illustrated catalogue, with texts by Mattijs Visser (Director, the ZERO Foundation) and Serge Lemoine, accompanies the show, which runs parallel to "ZERO: Countdown to Tomorrow, 1950s–1960s" at the Solomon R. Guggenheim Museum, the first exhibition based on international research projects initiated by the ZERO Foundation. Moeller Fine Art has contributed to the Guggenheim Museum's exhibition with the loan of two works by Otto Piene, Light Satellite and Light Drum, 1969. For further information, please contact the gallery at (212) 644-2133 or mail@moellerfineart.com. To view highlights from the exhibition or to learn more, please visit our website. Gallery hours are Monday-Friday, 10am-6pm and Saturday, 11am-5pm.